We’ve had a few early and eager customers trickling in over the past week, and May is finally here so it’s time to declare that we’re open for the season! 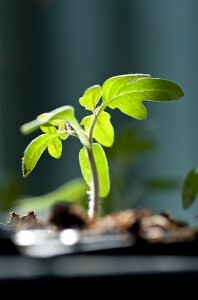 Wee tomato seedling soaking up some spring sunshine. With the long, chilly, snow-filled, seemingly never-ending, and also cold, winter behind us, we’re all looking forward to the new growing season. The hours Sarah and Kathy spent in the winter months poring over seed catalogues to ensure a great selection of quality veggie transplants pays off come harvest time. It’s exciting watching these seeds germinate and wake up to the world in as the days get longer and just a little bit warmer. We shepherd these little seedlings until they reach your garden (or ours), all the while waiting in eager anticipation of the varieties new to us (like the pair of “Bumblebee” cherry tomatoes) or the return of our old stalwarts (oh, Sun Sugar, it’s been too long!). Our backs still feel sore from shoveling snow, but we can almost taste the fresh, juicy tomatoes straight from the garden! 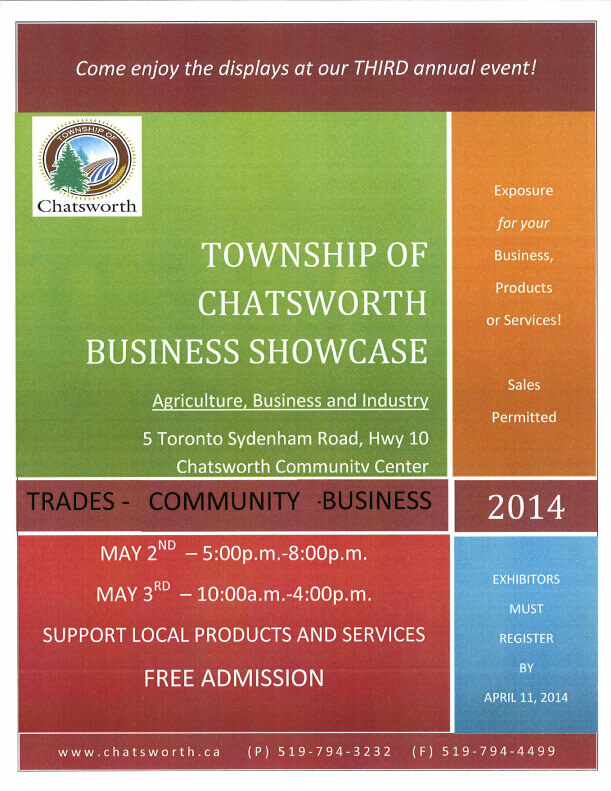 We’re kicking off the new season at the 2014 Township of Chatsworth Business Showcase. We’ll be bringing a few of the early rising perennials, some of the more cold tolerant annuals, as well as some tomatoes and other veggies for those who want a head start. It’s our first year at this show, and we hope to see you out! Here’s to a great growing season, guaranteed to be different from the last!